Very cool photos! I like them both and love seeing how you interpret the theme for the challenge each week. I really like the architecture of that building- is it in Arizona? The cacti make me think it might be. Thank you! 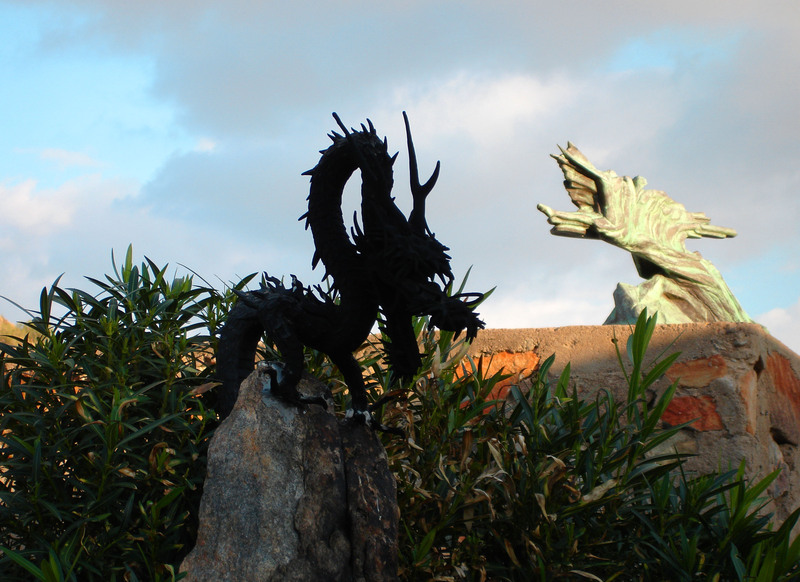 These are both in AZ – the top one was taken at Taliesin West (a Frank Lloyd Wright house) here in Phoenix. 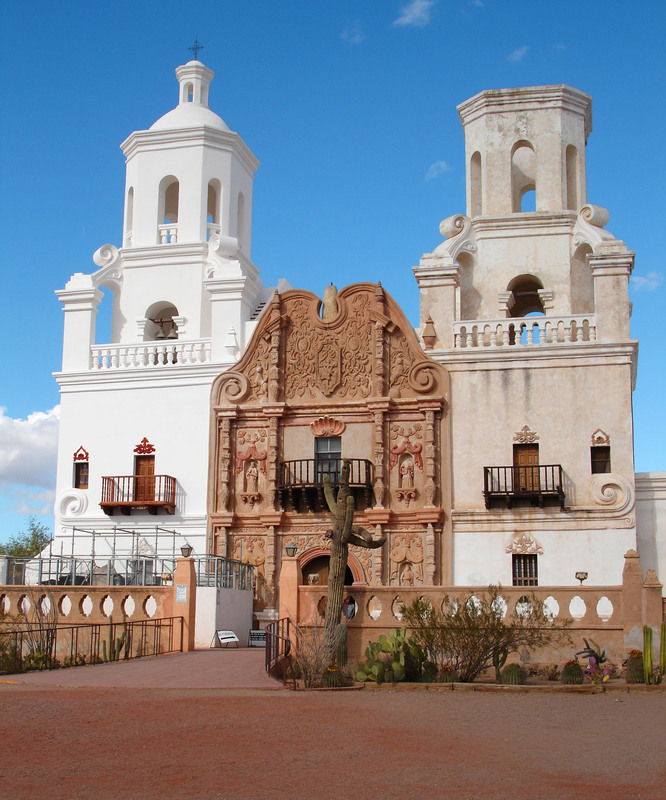 The bottom photo is of the Mission San Xavier del Bac just south of Tucson (a must see if ever in the area! It’s just off I-19, so easy to spot.). Is the second one superimposed or is it real? That looks really neat. I like how you used the shadow and light too. I would just move to a different spot or zoom in to get either one in focus, completely ignoring the fact that its a brilliant opportunity to capture contrast! I have to admit that the first photo was more by accident than design. But that’s why I enjoy participating in these challenges – it definitely helps my perspective! Thanks so much for stopping by and the kind words! !